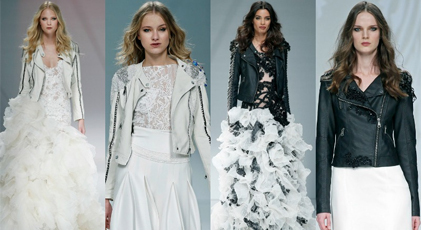 Our brides proposal with leather biker jackets have seduced the portal Moda en la calle, for the groundbreaking of the look and for getting connected as well with the street fashion trends. Section of fashion of the popular Spanish magazine praises the new bridal collection this 2017. In particular, highlights of our brides bikers, an example of style and modernity.